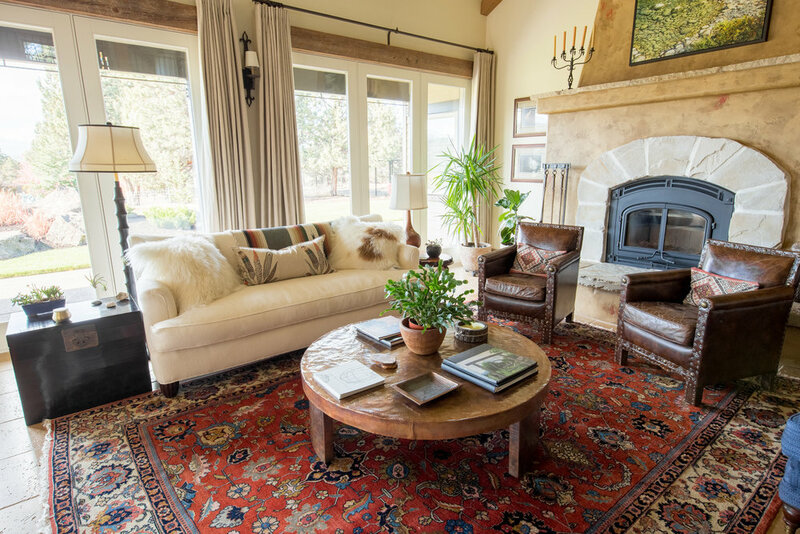 We’d like to take credit for our client's impeccable taste, but we can’t. 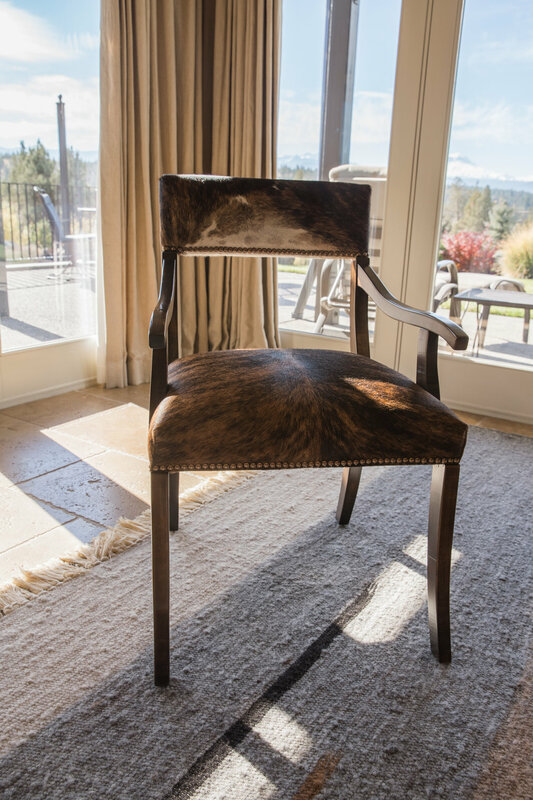 We were brought in to give her existing furniture a facelift. 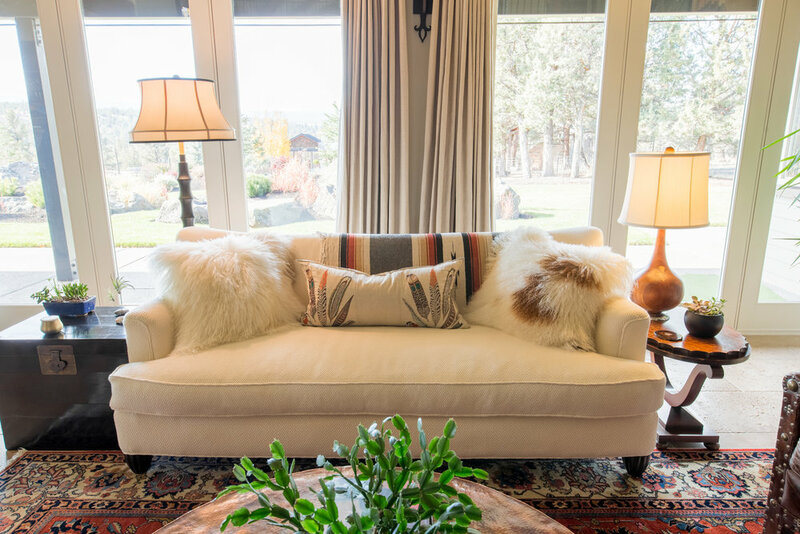 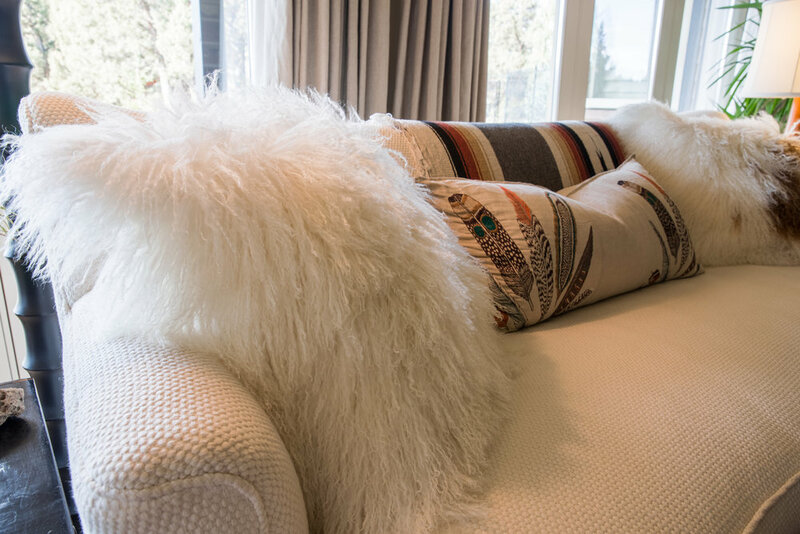 The Nest Design Studio team sourced the fabric to recover her sofa, two chairs, and ottoman. 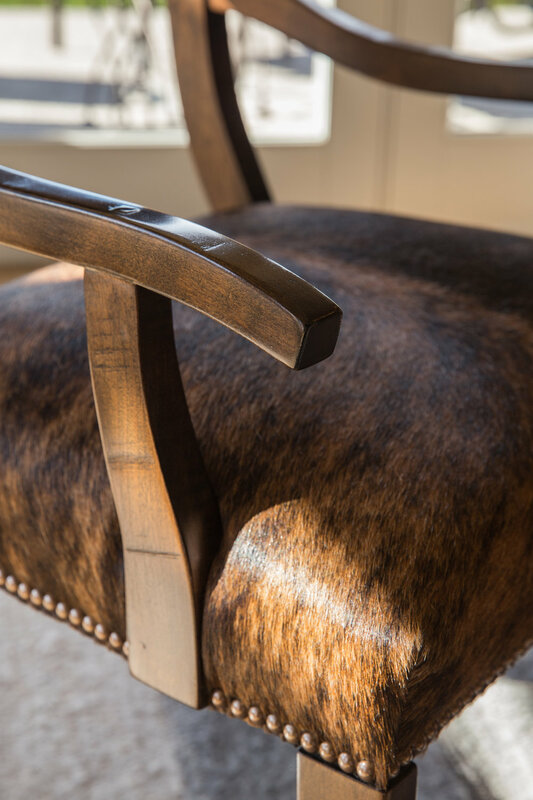 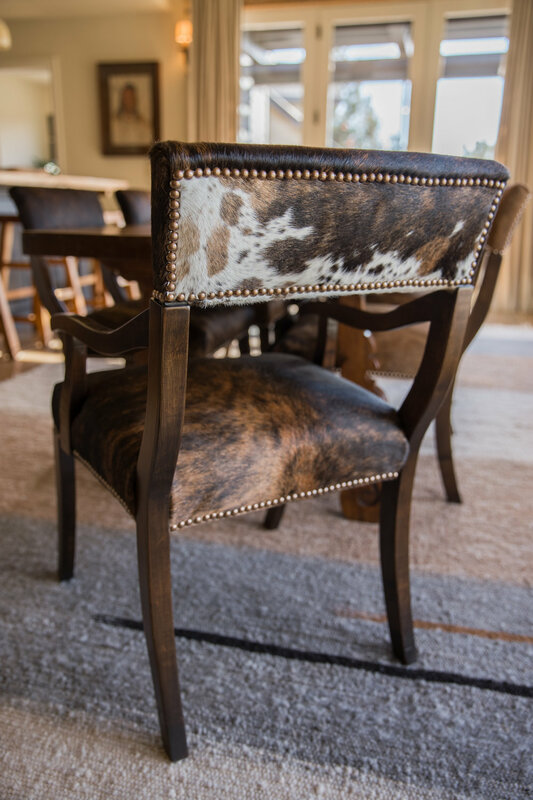 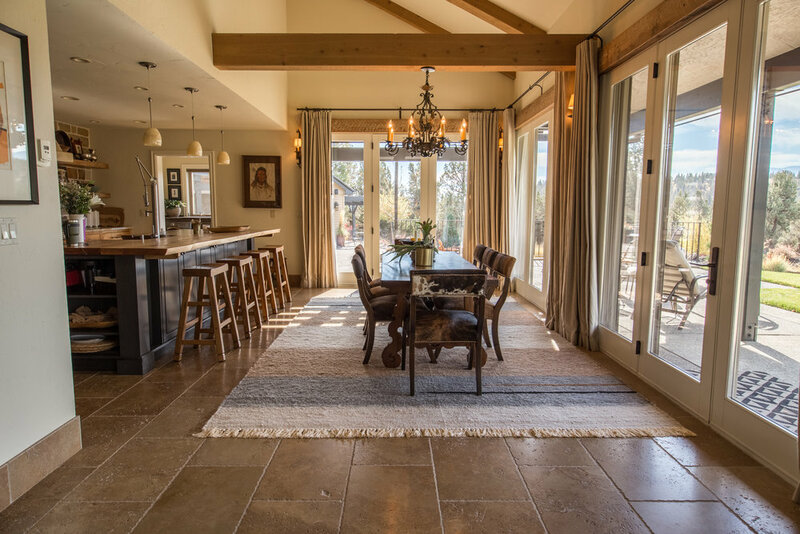 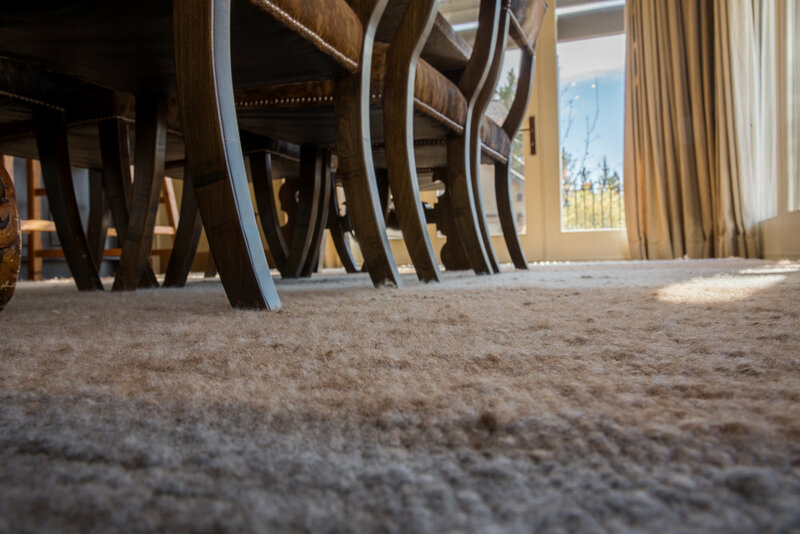 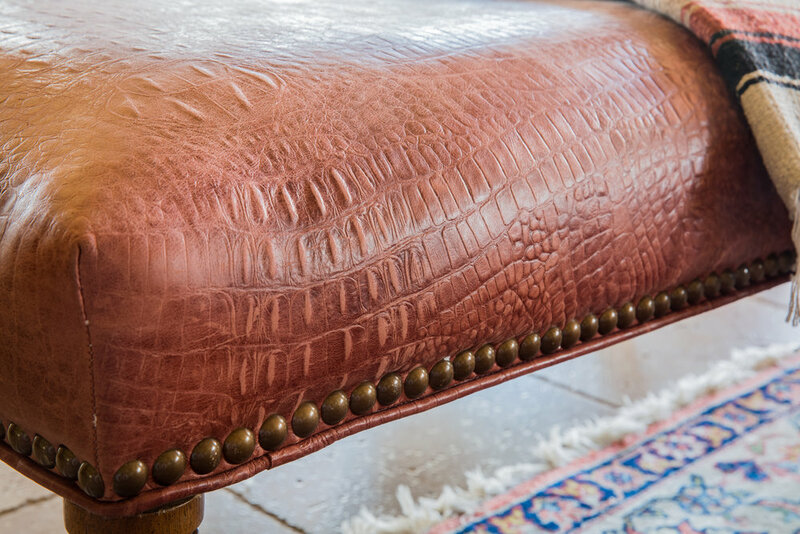 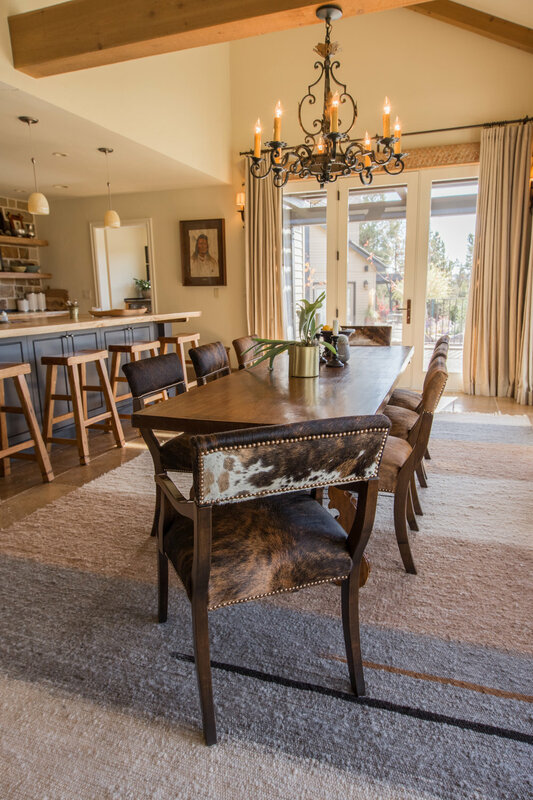 We also sourced local alpaca for a custom, one-of-a-kind rug made for the living room, and we commissioned award-winning, local furniture maker, Rober Seliger, to design and build custom dining room chairs.